With our first significant snow fall, I get to try out my set of winters. Full Disclosure: Nokian wanted me to use their tires so much that they manufactured them, then offered them for sale. Tested on plowed, packed snow with some deeper, loose, slushy snow thrown in the mix. The defining feature on a winter tire. 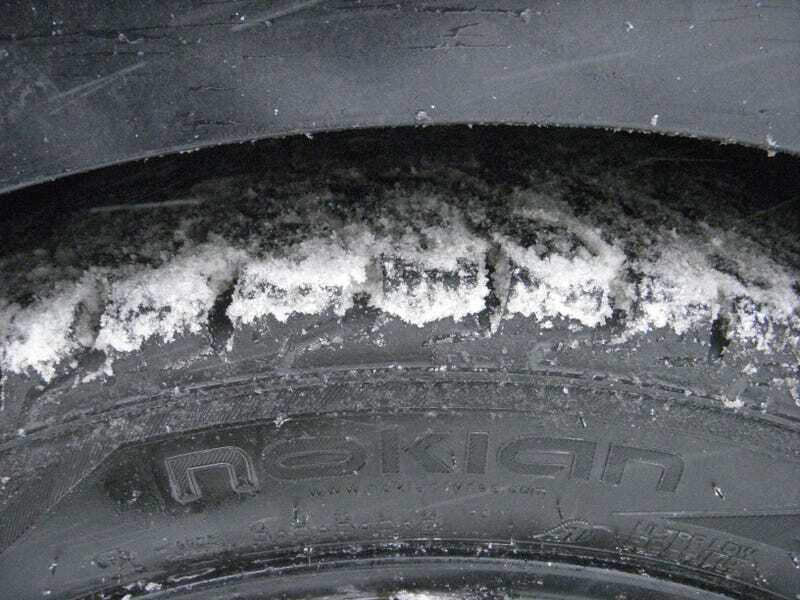 No one sipes better than Nokian. They are directional tires. That allows for a more purpose built design, but makes it annoying come rotation time. You can easily coax some wheel spin, but drive like you normally would and there aren't any problems. I was behind a few people who when pulling away from a stop just spun their tires endlessly. Similar to acceleration. I braked a little harder here and it just stopped with no fuss. I kept expecting some squirming under braking but there was none. On packed snow, grip was great. Only on the slushy stuff found at intersections would I get a wiggle going, and that was only when turning from a stop. Overview: I'm enjoying these tires immensely. I've seen zero difference in fuel economy(best of 37.5mpg). The difference in grip from my summers was noticeable upon change. On fun, sharp corners I could feel the difference right away. A dry weather performance tire this is not, and that is obviously not their strong point. Having driven many winters without the proper shoes, I didn't know what to expect. The difference is astounding, but it's not until you see others struggling that you realize how well they work. I highly recommend some sort of winter tire on your main vehicle.